I feed her and she feeds me. (2) In this poem there is an obvious conversation between Papalexandrou and George Seferis one that is carried on in « Wing, Its Blowing” and « Ab Indivisio”. More specifically, in « Eyewitness” the poem « Narrative” by Seferis is the center of the conversation while in « Ab Indivisio” it’s « K. Andromeda” from the collection « Mythistorima” . forgotten, a “fugitive” becoming estranged from even him or herself. 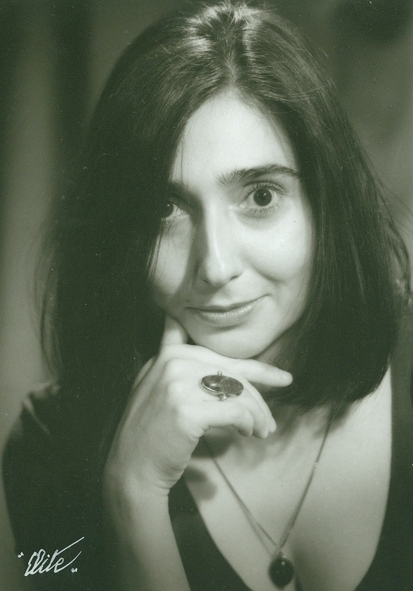 Aristea Papalexandrou has published five books of poetry: Dio onira prin (Two Dreams Ago, 2000), Allote allou (Once, Elsewhere, 2004), Odika ptina (Songbirds, 2008), Ypogeios (Underground, 2012), Mas propserna (It’s Passing Us By, 2015). She has studied music and Medieval and Modern Greek Literature. She works as an editor.